BABAKHANI, Peyman, BRIDGE, Jonathan, PHENRAT, Tanapon, DOONG, Ruey-an and WHITTLE, Karl (2018). Aggregation and sedimentation of shattered graphene oxide nanoparticles (SGO) in dynamic environments: a solid-body rotational approach. Environmental Science: Nano, 8 (2018), 1859-1872. BABAKHANI, Peyman, DOONG, Ruey-an and BRIDGE, Jonathan (2018). The significance of early and late stages of coupled aggregation and sedimentation in the fate of nanoparticles: measurement and modelling. Environmental Science & Technology, 52 (15), 8419-8428. CHANDLER, Benjamin M.P., LOVELL, Howard, BOSTON, Clare M., LUKAS, Sven, BARR, Iestyn D., BENEDIKTSSON, Ivar O., BENN, Douglas I., CLARK, ChrisD., DARVILL, Christopher M., EVANS, David J.A., EWERTOWSKI, Marek W., LOIBL, David, MARGOLD, Martin, OTTO, Jan-Christoph, ROBERTS, David H., STOKES, Chris R., STORRAR, Robert and STROEVEN, Arjen P. (2018). Glacial geomorphological mapping: A review of approaches and frameworks for best practice. Earth-Science Reviews, 185, 806-846. GIBBESON, Carolyn (2018). Not always nice: the effect of a whole-life perspective on heritage and redevelopment. Journal of urban regeneration and renewal, 12 (1), 32-42. KINCAID, Simon (2018). Emergency planning for fire in historic buildings. Historic Environment: Policy & Practice, 10 (1), 19-39. KINCAID, Simon (2018). The upgrading of fire safety in historic buildings. Historic Environment: Policy & Practice, 9 (1), 3-20. SWIFT, Darrel A. and JONES, Andrew (2018). Going against the flow: testing the hypothesis of pulsed axial glacier flow. Earth Surface Processes and Landforms, 43 (13), 2754-2761. BABAKHANI, Peyman, BRIDGE, Jonathan, DOONG, Ruey-an and PHENRAT, Tanapon (2017). Continuum-based models and concepts for the transport of nanoparticles in saturated porous media: A state-of-the-science review. Advances in Colloid and Interface Science, 246, 75-104. BABAKHANI, Peyman, BRIDGE, Jonathan, DOONG, Ruey-an and PHENRAT, Tanapon (2017). Parameterization and prediction of nanoparticle transport in porous media : a reanalysis using artificial neural network. Water Resources Research, 53 (6), 4564-4585. BASHIR, Nadia, CRONIN DE CHAVEZ, Anna, GILBERTSON, Janet, TOD, Angela, SANDERSON, Elizabeth and WILSON, Ian (2013). An Evaluation of the FILT Warm Homes Service. Project Report. Sheffield, Sheffield Hallam University. BASHIR, Nadia, GILBERTSON, Janet, HAYWOOD, Annette, HOLDING, Eleanor and TOD, Angela (2016). Doncaster Hospital Discharge Pathway Study: Final report. Project Report. Sheffield, Centre for Regional Economic and Social Research, Sheffiled Hallam University. BENNETT, Luke (2018). Cold War Ruralism: civil defence planning, country ways and the founding of the UK’s Royal Observer Corps' fallout monitoring posts network. Journal of Planning History, 17 (3), 205-225. BIDDULPH, M., COLLINS, A.L., FOSTER, I.D.L. and HOLMES, Naomi (2017). The scale problem in tackling diffuse water pollution from agriculture : insights from the Avon Demonstration Test Catchment programme in England. River Research and Applications, 33 (10), 1527-1538. BUCKNER, Lisa and ESCOTT, Karen (2009). Jobs for communities: does local economic investment work. People, place and policy online, 3 (3), 157-170. BURNETT, Alice and CROWE, Lynn (2016). An Evaluation of Secondary School Students’ Perceptions of Geography at Key Stages 3 and 4. The Sheffield Hallam University Natural Environment Research Transactions, 2 (1), 53-79. CADMAN, Louisa (2009). Nonrepresentational Theory/Nonrepresentational Geographies. In: KITCHEN, Rob and THRIFT, Nigel, (eds.) International Encyclopedia of Human Geography (1st ed). Oxford, Elsevier, 456-463. CARTER, Ben and LAYCOCK, Elizabeth (2016). Managing the unknown : a plan to manage workload fluctuations and operating resources in a professional practice. Sheffield Hallam University Built Environment Research Transactions, 8 (1), 56-71. CERULLI, Cristina (2017). Conflux of interest. Revealing multiple value systems in socially motivated collaborative university based projects. The Journal of Public Space, 2 (3), 11-20. CRISP, Richard, GORE, Tony and MCCARTHY, Lindsey (2017). Addressing transport barriers to work in low income neighbourhoods: A review of evidence and practice. Project Report. Sheffield, Sheffield Hallam University. CRITCHLEY, Roger, GILBERTSON, Janet, GRIMSLEY, Michael and GREEN, Geoff (2007). Living In Cold Homes After Heating Improvements: Evidence From Warm Front, England's Home Energy Efficiency Scheme. Applied Energy, 84 (2), 147-158. CROWE, Lynn, HAMMOND, Catherine and WILSON, Nikky (2016). An Examination of the Development and Implementation of Planning Policy Relating to Major Development in the English and Welsh National Parks. Project Report. Sheffield Hallam University for the Campaign for National Parks. CROWE, Lynn, HAMMOND, Catherine and WILSON, Nikky (2016). An Examination of the Development and Implementation of Planning Policy Relating to Major Development in the English and Welsh National Parks. Technical Report. Sheffield Hallam University for the Campaign for National Parks. DAMM, Christopher, DAYSON, Christopher, GILBERTSON, Janet and PEARSON, Sarah (2016). Stockport Targeted Prevention Programme Evaluation: Final Report. Project Report. Sheffield, Sheffield Hallam University. DE BEEN, Iris, VAN DER VOORDT, Theo and HAYNES, Barry (2016). Productivity. In: JENSEN, Per Anker and VAN DER VOORD, Theo, (eds.) Facilities management and corporate real estate management as value drivers : how to manage and measure adding value. London, Routledge. DOUTERELO, Isabel, SHARPE, Rebecca, HUSBAND, Stewart, FISH, Katherine and BOXALL, Joby (2019). Understanding microbial ecology to improve management of drinking water distribution systems. WIREs Water, 6 (1), e01325. ESCOTT, Karen and BUCKNER, Lisa (2006). Addressing women's poverty: local labour market initiatives market initiatives: synthesis report. Project Report. Sheffield, Sheffield Hallam University. EVANS, Jennine, FOSTER, Ian, BOARDMAN, John and HOLMES, Naomi (2017). SMART – Sediment Mitigation Actions for the River Rother, UK. Proceedings of the International Association of Hydrological Sciences, 375, 35-39. FENN, Henry R. W. and LAYCOCK, Elizabeth (2017). A socio-economic investigation of pre-harvest and post-harvest crop loss between producers and retailers in Fenland. Sheffield Hallam University Natural Environment Research Transactions, 3 (1), 38-55. FITZGERALD, Matt and CROWE, Lynn (2014). The riding preferences of mountain bikers in England and Wales, and the implications for improving public rights of way networks and wider access to the countryside. Waymark, 26. FOTHERGILL, Stephen, GORE, Tony and WELLS, Peter (2017). Industrial Strategy and the Regions : the shortcomings of a narrow sectoral focus. Discussion Paper. Sheffield, Sheffield Hallam University. FURNASS, W. R, COLLINS, R. P, HUSBAND, P. S, SHARPE, Rebecca, MOUNCE, S. R and BOXALL, J. B (2014). Modelling both the continual erosion and regeneration of discolouration material in drinking water distribution systems. Water Science & Technology: Water Supply, 14 (1), 81-90. GILBERTSON, Janet and BATTY, Elaine (2011). An Evaluation of 'Passion for Life': Final Report. Project Report. Sheffield, Sheffield Hallam University. GOODCHILD, Barry, AMBROSE, Aimee and MAYE-BANBURY, Angela (2017). Storytelling as oral history: revealing the changing experience of home heating in England. Energy Research & Social Science, 31, 137-144. GOODCHILD, Barry, SHARPE, Rebecca and HANSON, Chris (2018). Between resistance and resilience: a study of flood risk management in the Don catchment area (UK). Journal of Environmental Policy & Planning, 20 (4), 434-449. GORE, Tony (2005). The CISWO One-stop Shop Project: External Evaluation. Final Report. Project Report. Rotherham, Coal Industry Social Welfare Organisation. GORE, Tony, EADSON, William, OZDEMIROGLU, Ece, GIANFERRARA, Erin and PHANG, Zara (2013). Green Infrastructure’s contribution to economic growth: a review. Project Report. London, eftec. GREEN, Geoff and GILBERTSON, Janet (2008). Warm Front Better Health: Health Impact Evaluation of the Warm Front Scheme. Project Report. Sheffield, CRESR. HAWKINS, Anna, SHARPE, Rebecca, SPENCE, Kevin and HOLMES, Naomi (2018). Inappropriate flushing of menstrual sanitary products. Proceedings of the Institution of Civil Engineers - Water Management. HAYNES, Barry, SUCKLEY, Louise and NUNNINGTON, Nick (2017). Workplace productivity and office type: an evaluation of office occupier differences based on age and gender. Journal of Corporate Real Estate, 19 (2), 111-138. IRVINE-FYNN, Tristram D. L., PORTER, Philip R., ROWAN, Ann V., QUINCEY, Duncan J., GIBSON, Morgan J., BRIDGE, Jonathan, WATSON, C. Scott, HUBBARD, Alun and GLASSER, Neil F. (2017). Supraglacial ponds regulate runoff from Himalayan debris-covered glaciers. Geophysical Research Letters, 44 (23), 11,894-11,904. KILBURN, Nicola and FRASER, Douglas (2017). The Proposal that Nudibranch Jorunna funebris 'Juvenile' is Precocious, a Distinct Phenotype or a New Species. The Sheffield Hallam University Natural Environment Research Transactions, 2 (1), 80-87. LAYCOCK, Elizabeth (2015). A study into recruitment and selection for the built environment disciplines. Sheffield Hallam University Built Environment Research Transactions, 7 (1), 46-71. MAYE-BANBURY, Angela (2018). Strangers in the shadows – an exploration of the ‘Irish Boarding Houses’ in 1950s Leicester as heterotopic spaces. Irish Geography, 51 (1), 115-136. MULLINER, Emma and KIRSTEN, Louise (2017). Preparation for the Energy Act 2011 and minimum energy efficiency standards in UK commercial property. International Journal of Strategic Property Management, 21 (2), 183-198. NAKAJIMA, Hiroaki, KOJIMA, Hiromi, TACHIKAWA, Kotaro, SUZUKI, Kojiro and ROTHERHAM, Ian (2018). 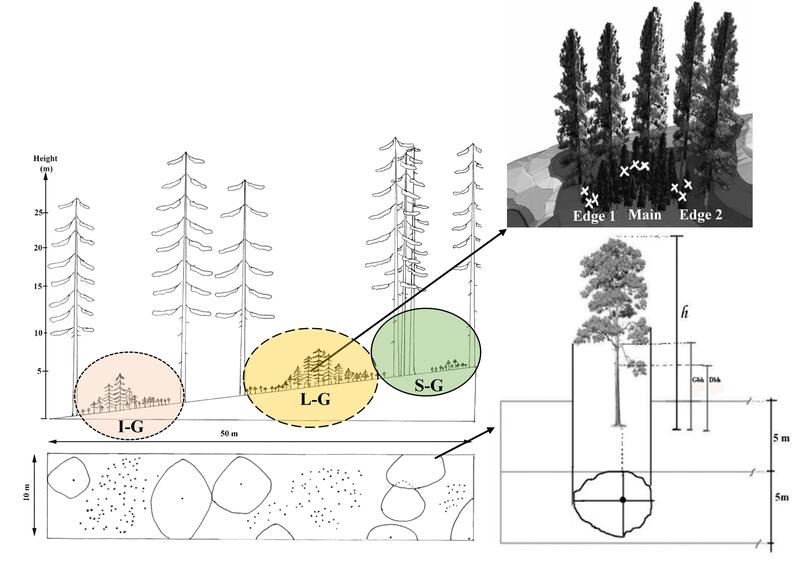 Ecological and growth characteristics of trees after resumption of management in abandoned substitution forest in Japan. Landscape and Ecological Engineering, 14 (1), 175-185. POURBAKHTIAR, A, POULSEN, T G, WILKINSON, S and BRIDGE, Jonathan (2017). Effect of wind turbulence on gas transport in porous media: experimental method and preliminary results. European Journal of Soil Science, 68 (1), 48-56. RAJASEKAR, Adharsh, WILKINSON, Stephen, SEKAR, Raju, BRIDGE, Jonathan, MEDINA-ROLDAN, Eduardo and MOY, Charles K.S (2018). Biomineralisation performance of bacteria isolated from a landfill in China. Canadian Journal of Microbiology (CJM), 64 (12), 945-953. REEVE, Kesia (2017). Welfare conditionality, benefit sanctions and homelessness in the UK : ending the 'something for nothing culture' or punishing the poor? Journal of Poverty and Social Justice, 25 (1), 65-78. SCHMALENBERGER, A., DURAN, A. L., BRAY, A. W., BRIDGE, Jonathan, BONNEVILLE, S., BENNING, L. G., ROMERO-GONZALEZ, M. E., LEAKE, J. R. and BANWART, S. A. (2015). Oxalate secretion by ectomycorrhizal Paxillus involutus is mineral-specific and controls calcium weathering from minerals. Scientific Reports, 5, p. 12187. SHARPE, Rebecca, BIGGS, Catherine and BOXALL, Joby (2019). Hydraulic conditioning to manage potable water discolouration. Proceedings of the Institution of Civil Engineers - Water Management, 172 (1), 3-13. STORRAR, Robert, JONES, Andrew and EVANS, David J A (2017). Small-scale topographically-controlled glacier flow switching in an expanding proglacial lake at Breiðamerkurjökull, SE Iceland. Journal of Glaciology, 745-750. STORRAR, Robert and LIVINGSTONE, Stephen (2017). Glacial geomorphology of the northern Kivalliq region, Nunavut, Canada, with an emphasis on meltwater drainage systems. Journal of Maps, 13 (2), 153-164. SWIFT, D.A., COOK, S.J., GRAHAM, D.J., MIDGLEY, N.G., FALLICK, A.E., STORRAR, Robert, TOUBES RODRIGO, M. and EVANS, D.J.A. (2018). Terminal zone glacial sediment transfer at a temperate overdeepened glacier system. Quaternary Science Reviews, 180 (180), 111-131. TARAWNEH, Esraa, BRIDGE, Jonathan and MACDONALD, Neil (2016). A pre-calibration approach to select optimum inputs for hydrological models in data-scarce regions. Hydrology and Earth System Sciences (HESS), 20 (10), 4391-4407. UDALL, Julia, FORREST, David and STEWART, Katie (2014). Locating and building knowledges outside of the academy : approaches to engaged teaching at the University of Sheffield. Teaching in Higher Education, 20 (2), 158-170. UDALL, Julia M and HOLDER, Anna M (2014). The ‘Diverse Economies’ of Participation. Footprint, 13, 63-80. WALMSLEY, John and CROWE, Lynn (2015). Applying mobile information and communications technology to countryside access. Waymark, 27 (4), 13-19. WALMSLEY, John and CROWE, Lynn (2016). What makes a good smartphone app for outdoor recreation. Outdoor Recreation Network Journal, 27. WOODHEAD, Roy, STEPHENSON, Paul and MORREY, Denise (2018). Digital construction: From point solutions to IoT ecosystem. Automation in Construction, 93, 35-46. ÇOBAN, Süleyman, ÇOLAK, Alper, ROTHERHAM, Ian, ÖZALP, Gülen and ÇALIŞKAN, Adil (2018). 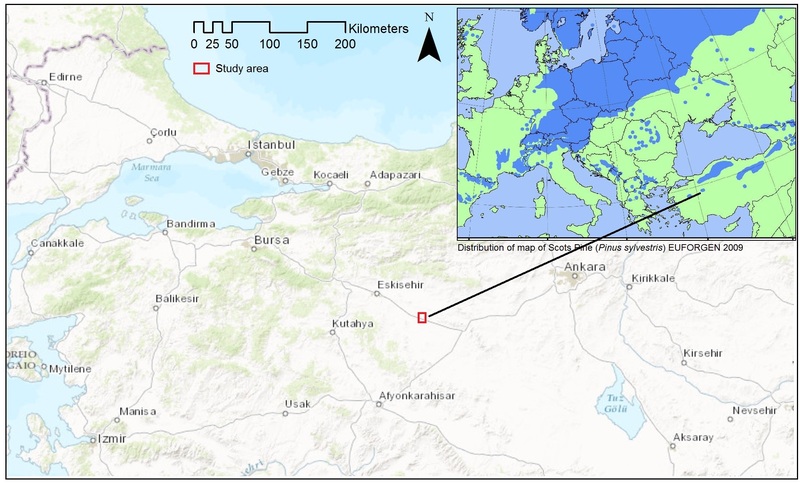 Effects of canopy gap size on the regeneration of Scots pine (Pinus sylvestris L.) in Eskişehir-Çatacık region of Turkey. 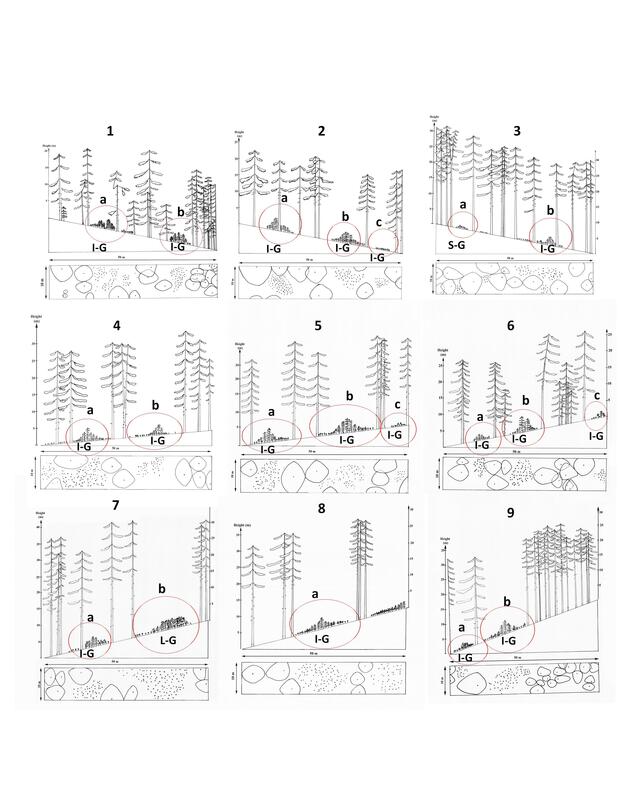 Austrian Journal of Forest Science, 2018 (3), 183-212. BEATTY, Christina, FOTHERGILL, Stephen and GORE, Tony (2014). Seaside towns in the age of austerity: recent trends in employment in seaside tourism in England and Wales. Project Report. Sheffield, Centre for Regional Economic and Social Research, Sheffield Hallam University. BRIDGE, Jonathan (2017). Oroville dam danger shows how Trump could win big on infrastructure. The Conversation. BURGOYNE, Chris J., PILAKOUTAS, Kypros, SERBESCU, Andreea, TARANU, Nicolae, TAMUZS, Vitauts and WEBER, Andre (2007). Material characteristics. In: FRP Reinforcement in RC Structures. Lausanne, Switzerland, International Federation for Structural Concrete, 7-30. CADMAN, Louisa (2009). Life and Death Decisions in our Posthuman(ist) Times. Antipode, 41 (1), 124-149. CADMAN, Louisa (2018). The small stuff of barely spiritual practices. In: BARTOLINI, Nadia, MACKIAN, Sara and PILE, Steve, (eds.) Spaces of spirituality. Routledge Research in Culture, Space and Identity . Routledge, 135-154. CHILTON, John and TANG, Gabriel (2016). Timber gridshells : architecture, structure and craft. Oxon, UK, Routledge. CUDWORTH, Erika and WHITE, Richard (2018). Bringing down the animal abuse industry by any means necessary: state-corporate-media alliance and the fear of counter-cultural intervention. In: Radical Animal Studies: Total Liberation and Revolution in the Face of Academic Cooptation. Peter Lang. ESCOTT, Karen (2011). Book review: Immigration and Integration in Urban Communities: Renegotiating the City. Urban Studies, 48 (4), 827-829. ESCOTT, Karen (2014). Book review: Urban regeneration in the UK. Journal of Urban Regeneration and Renewal, 7 (4), 401-403. ESCOTT, Karen and BUCKNER, L (2006). Young women's employment: growing up poor in England and Wales. Project Report. YWCA. ESCOTT, Karen, TRUEMAN, Myfanwy and BUCKNER, Lisa (2013). Improving employment and women's well‐being in regeneration programmes. International Journal of Public Sector Management, 26 (3), 250-263. FORDHAM, Geoff, GORE, Tony, LAWLESS, Paul and FORDHAM, Rachel Knight (2002). The Groundwork movement: its role in neighbourhood renewal. Project Report. York, Joseph Rowntree Foundation. GORE, Tony (1991). Public/private partnership schemes in UK urban regeneration: The role of joint enabling agencies. Cities, 8 (3), 209-216. GORE, Tony and FOTHERGILL, Stephen (2007). Cities and their hinterlands: how much do governance structures really matter? People, Place and Policy Online, 1 (2), 55-68. GORE, Tony, FOTHERGILL, Stephen, HOLLYWOOD, Emma, LINDSAY, Colin, MORGAN, Kevin, POWELL, Ryan and UPTON, Stevie (2007). Coalfields and neighbouring cities: economic regeneration, labour markets and governance. Project Report. York, Joseph Rowntree Foundation. GREEN, Geoff and GILBERTSON, Janet (1999). The impact of housing and investment on the health and quality of life of low income residents. Open House International, 24 (1), 41-53. HOLMES, Naomi (2018). Mapping glacial landscapes: a case study from the Himalaya. Geography Review, 31 (4), 2-5. HOLMES, Naomi (2014). Section 4.1.3: Chironomid analysis: background, methods and geomorphological applications. In: COOK, S. J., CLARKE, L. E. and NIELD, J. M, (eds.) Geomorphological Techniques (Online Edition). London, UK, British Society for Geomorphology. LAWLESS, Paul and GORE, Tony (1999). Urban regeneration and transport investment: A case study of Sheffield 1992-1996. Urban Studies, 36 (3), 527-545. LUPTON, Ruth and CRISP, Richard (2018). Regeneration redux? What (if anything) can we learn from New Labour? In: NEEDHAM, Catherine, HEINS, Elke and REES, James, (eds.) Analysis and debate in social policy. Social Policy Review, 1 (30). Bristol, Policy Press, 209-228. SERBESCU, Andreea, GUADAGNINI, Maurizio and PILAKOUTAS, Kypro (2015). Mechanical characterization of basalt FRP rebars and long-term strength predictive model. Journal of Composites for Construction, 19 (2). SERBESCU, Andreea, GUADAGNINI, Maurizio and PILAKOUTAS, Kypros (2013). Standardised double-shear test for determining Bond of FRP to concrete and corresponding model development. Composites Part B: Engineering, 55, 277-297. This list was generated on Sun Apr 21 22:01:39 2019 UTC.